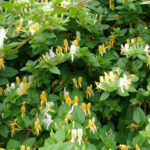 Lonicera japonica is a twining vine able to climb up to 33 feet (10 m) high or more in trees, with opposite, simple oval leaves up to 3.5 inches (8 cm) long and up to 1.2 inches (3 cm) wide. 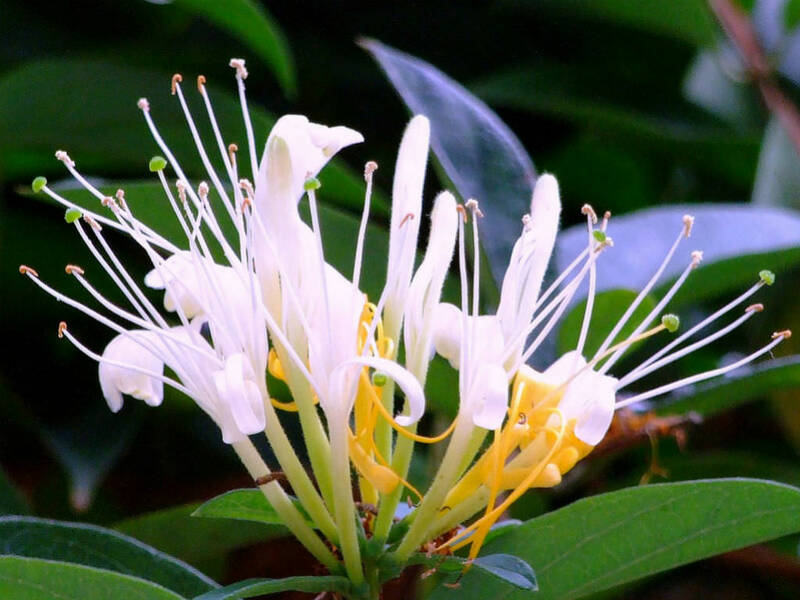 The flowers are double-tongued, opening white and fading to yellow, and sweetly vanilla scented. The fruit is a black spherical berry up to 0.16 inch (4 mm) in diameter, containing a few seeds. 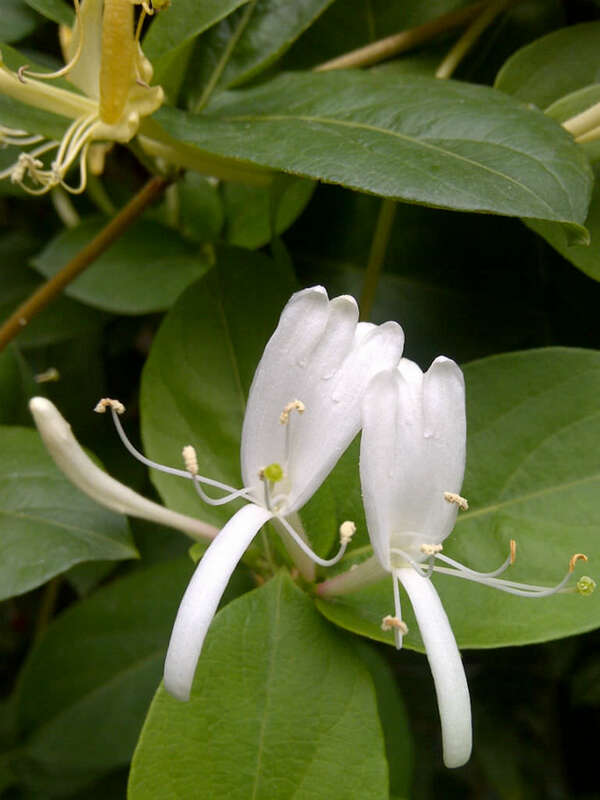 Flower production occurs from late April through July, and sometimes through October. 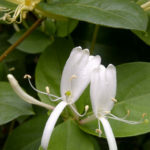 Honeysuckle vines should be planted during the spring in cooler climates because their roots thrive when cool and shaded. 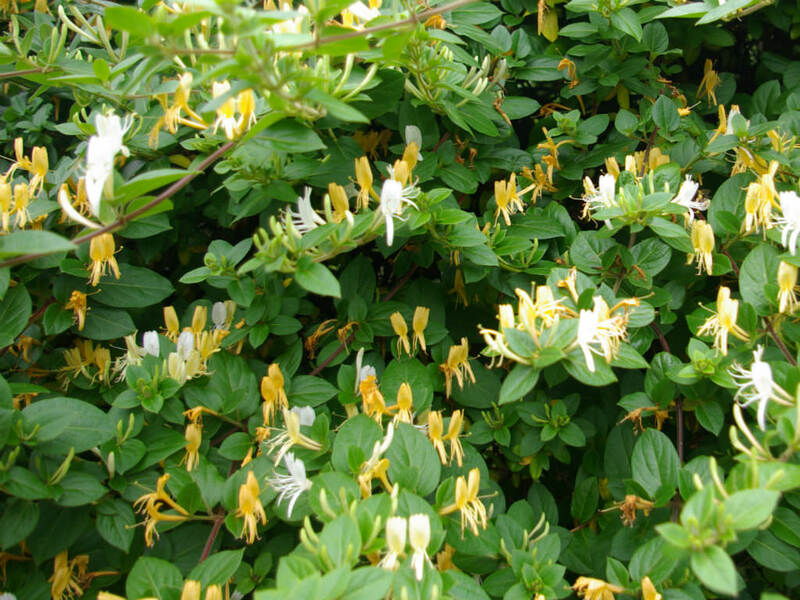 Make sure to wait until the final frost before planting them. When the timing is finally right, locate a spot for planting where they’ll get full sun, or at the very least, partial sun exposure. 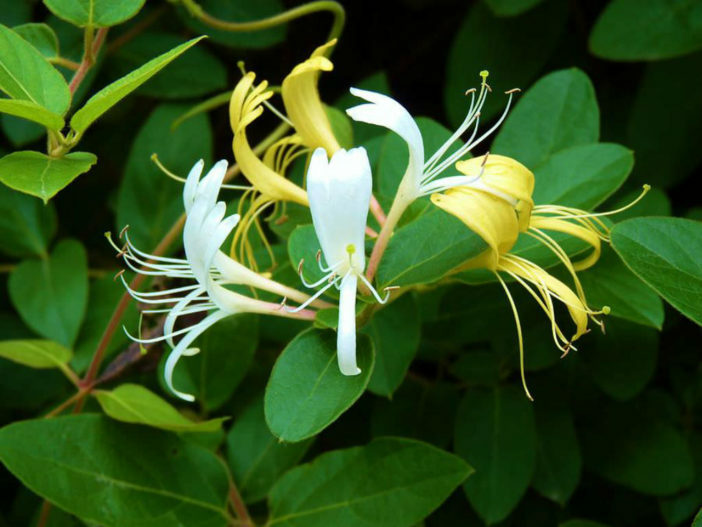 Plant your honeysuckle at a soil depth of 18 inches and lay an organic fertilizer or compost over the top 3 inches. 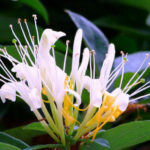 Native to eastern Asia including China, Japan and Korea.